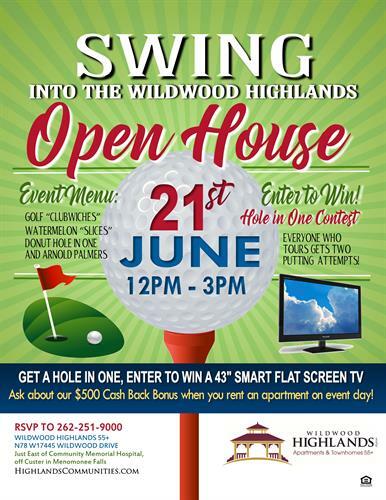 Swing into Wildwood Highlands for our Golf Open House Event! 43" SMART FLAT SCREEN TV! See flyer for details - or call 262-251-9000 to RSVP today!